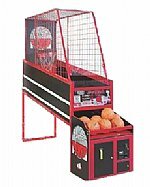 The electronic basketball game, Double Pop-A-Shot, tests your shooting skills to see how many baskets you can score in the initial allotted time of thirty seconds. Guests shoot at the baskets and score two points for each basket during the first twenty seconds. In the remaining ten seconds each basket counts for three points. If one or both of the players have surpassed thirty points and extra period of fifteen seconds is awarded and each subsequent basket counts as three points. 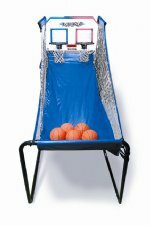 If one or both players are truly excellent shooters and achieved an amazing score of 90 points or more then an additional ten second period is granted and with each basket counting once again for three points. 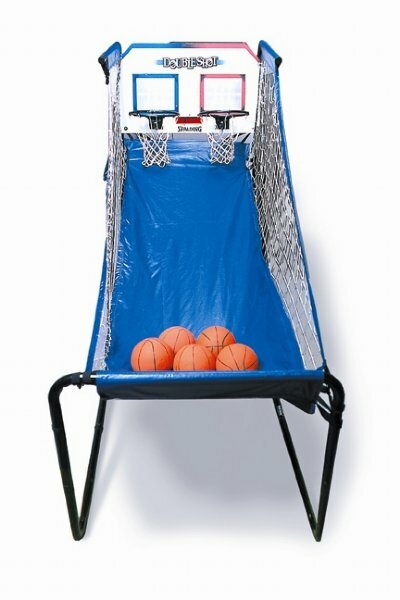 Double Pop-A-Shot is an excellent activity for all types of events including fund raisers. 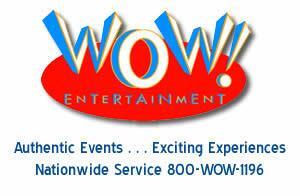 This activity is best suited for individuals six years & older.